There are loads of free printable to do lists on pinterest. I find it very difficult to organise myself without a list (or two, or three...) so these ones by The Tiny Honeycomb are my favourite at the moment. I suppose, at the end of the day, a list is a list, but these ones are really cute to turn my drab to dos into something a little cuter! 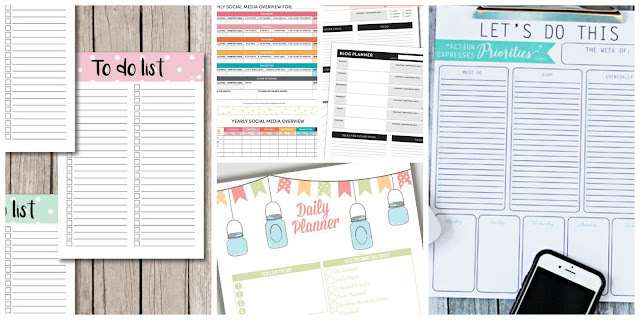 When you're super busy, having a daily planner can really help your busy day seem less daunting. It's really helpful so you don't forget the little things or get overwhelmed by what's ahead of you. 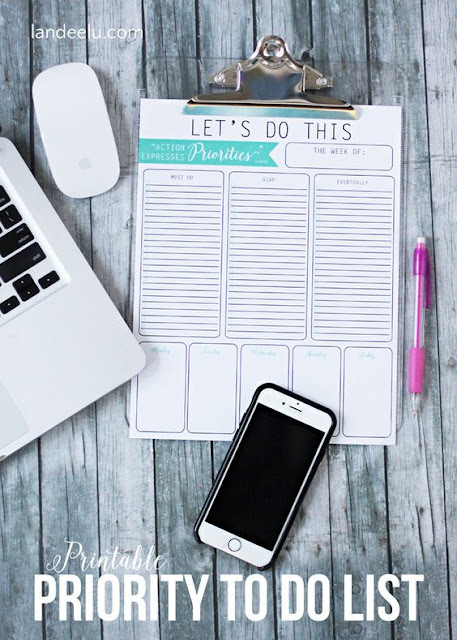 If I have a really busy day in front of me, I take a few minutes in the morning to lay it all out in a little plan and my current favourite is this one that I found on I Heart Planners. Along the same line as a to do list, this priorities list is great to help you categorise particularly long lists so you can easily see what needs to be done now and what can perhaps wait until later. I find this one from Landeelu particularly useful at work. 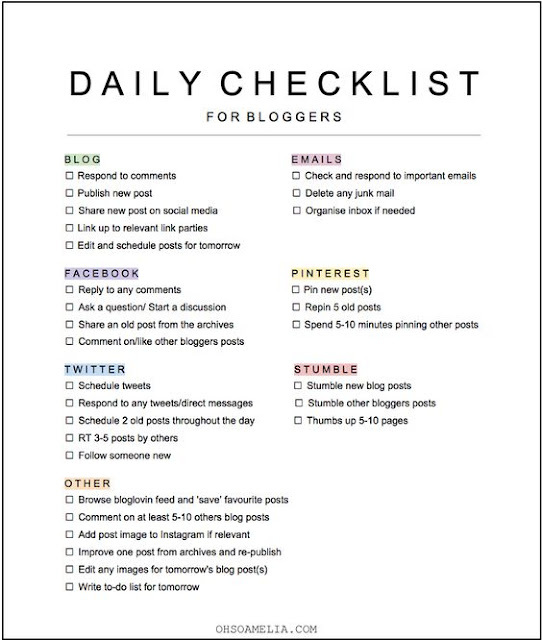 Sometimes it's really easy to get overwhelmed with blogging and not knowing what to do next, but this super handy daily blogging checklist for bloggers gives you some great ideas. I can sometimes go days without remembering to Pin or do basic blog admin and this printable from Oh So Amelia gives me a subtle reminder. 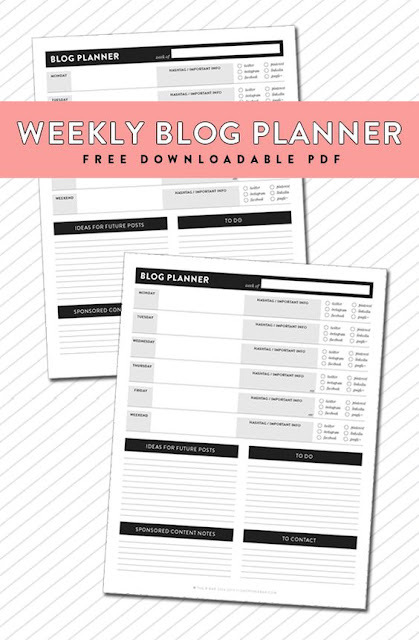 If you want a great way to plan your blog for the week, then this planner from The B Bar is a great place to start listing the jobs you want to do over the week. 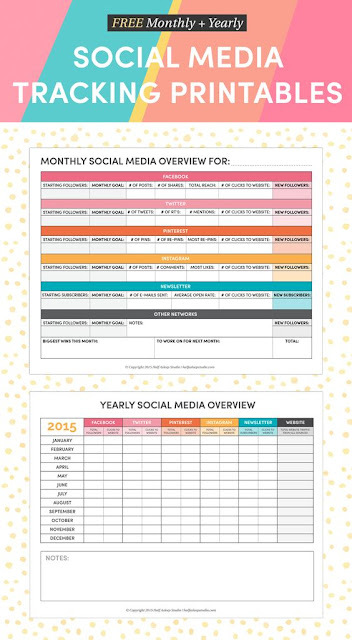 If you're trying to improve your social media stats then this tracking printable from Half Asleep Studio is a great place to start. You can keep track of all your stats and eventually it will help you work out what is working for you and where you need to focus your efforts! 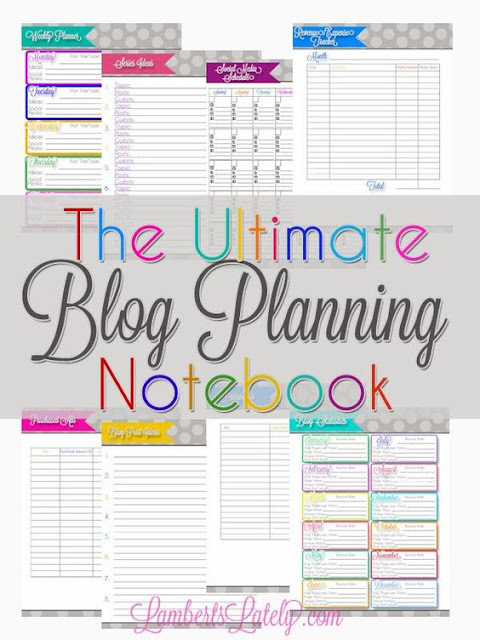 For those of you looking for something a bit more comprehensive, this Ultimate Blog Planning Notebook from Lamberts Lately has literally everything a blogger might need to get organised including calendars, idea sheets, trackers and loads more. 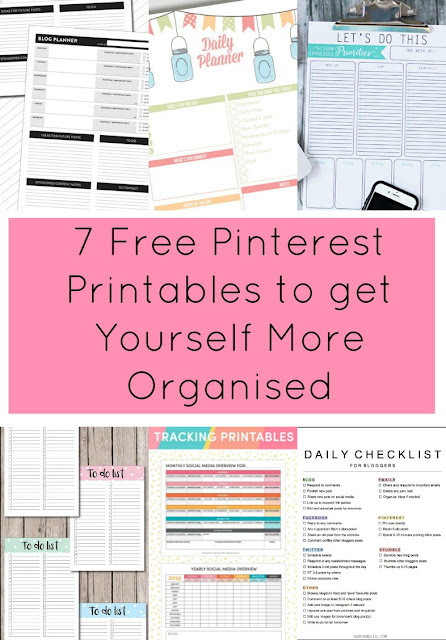 So there are a few bits that should help you get a bit organised! What are your tips for staying organised? 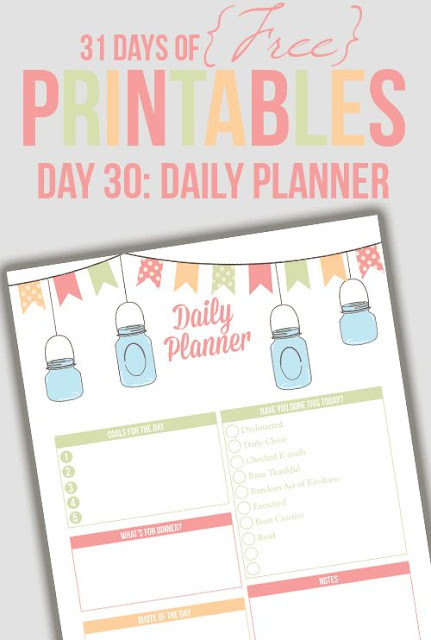 Share some links to your favourite printables in the comments!